It's not just a sightseeing tour; it's a trip! Ditch the cookie-cutter double deckers and hop aboard the Magic Bus, the only tour in town that will transport you to 1960s San Francisco for a fun-filled historical city tour. The Magic Bus is not your typical sightseeing bus but an innovative groovy-movie bus that takes you on a 90-minute ride through modern San Francisco while flashing back in time to the Summer of Love. On the Magic Bus, you will become a part of the Beatnik generation, see Haight-Ashbury in the Summer of Love and visit San Francisco’s Chinatown, from which eastern philosophy spread in the 1960s. It’s half tour bus, half movie theater - blending documentary film, music, and psychedelic art into an unforgettable experience, bringing the 1960’s to life. Nowhere else will you be able to tour San Francisco as it is now and as it was when hippies wore flowers in their hair. Magic Bus is truly an only in San Francisco experience! 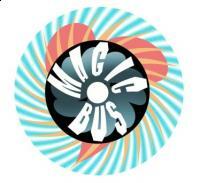 For videos, reviews and more information, you can visit their website at www.MagicBusSF.com. You can also call (855) WOW – MAGIC or (855) 969 – 6244 or email info@magicbussf.com if you have any questions or concerns.